As a postscript to the wealth of good sense and political saavy of Calvin Coolidge presented yesterday, these four “honorable mentions” deserve further consideration, especially as this year has brought to the forefront things more important than the party affiliation of those seeking office. Character and qualifications are imperatives that can no longer be ranked as distant secondaries to appearances and external polish. This campaign has brought to front and center questions of where a candidate or officeholder lives or should live, how competent he or she is in representing our interests and how committed one remains to the day’s work, not merely the next election or the next political promotion. Coolidge, more timely now than ever, weighs in on all of these issues. After all, Coolidge reminds us that where a person lives is where the heart lives also and being faithful in small things makes one fit for greater things. Here Coolidge is alluding to the scene of final judgment described by the Lord in Matthew 25, verses 21 and 23; cf. Luke 16:10-12. The question Christ asks in Luke should be honestly answered by every candidate on the ballot this year: “If you have not been faithful in what is another man’s who will give you what is your own?” Coolidge unassumingly kept his focus on the work at hand, even when the lure of national prestige and popularity rose with the campaign of 1920, as he recounts, “I was Governor of Massachusetts, and my first duty was to that office. It would not be possible for me, with the legislature in session, to be going about the country actively participating in an effort to secure delegates, and I was totally unwilling to have a large sum of money raised and spent in my behalf.” Too many are concerning themselves with 2016, when there is work to be done today. How much better would office holders be if they adopted Coolidge’s attitude? Do the day’s work, make it your first duty and tomorrow will take care of itself. Whether the candidate actually lives in the same jurisdiction or district one is seeking to represent matters. It matters because voters need to know that the candidate is fully invested in what they are being elected to accomplish, that we are getting the best a candidate is and will do. It means living by the same rules you expect of others. If the candidate remains insulated from the consequences of his or her decisions, the responsibilities entrusted will neither be borne nor respected. Voters are seeking to learn whether the candidate is going to uphold integrity, serving self or for the genuine good of all those one is oath-bound to represent. Some seek to distinguish themselves through grandstanding, boisterousness or the condescension of promoting big appearances with little substance. 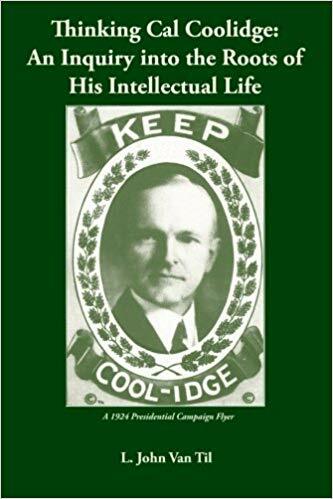 Coolidge demonstrated the quiet diligence of learning what the issues are, understanding the subjects under consideration not voting to learn what was in them. This measure of informed leadership is not to silence questions or win arguments but to understand the best course for responsible self-government. He advanced not by clever showmanship but by his grasp of public questions and human nature he proved qualified to speak and fit to lead. Speaking of his part as Governor in the Boston Police Strike of 1919, Coolidge presents a maxim that applies to every time and place. Politics is so easily distracted from the essentials and as events unfold, peripherals crowd in to obscure what is fundamental. 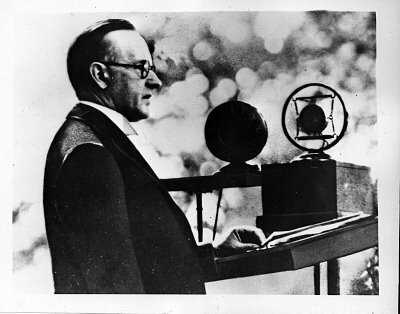 Coolidge reminds us to separate the extraneous from the essential, truth from falsehood, the constructive from the harmful, the eternal from the temporal. When that is done, the right course shines free of all pretense, sham and artificiality.